NEW BRITAIN - The New Britain Bees’ roster continues to grow. The team announced the signing of two more players on Tuesday: former MLB left-hander Christian Friedrich and outfielder Bijan Rademacher. Friedrich heads to New Britain for his 11th year of professional baseball and first in the Atlantic League. 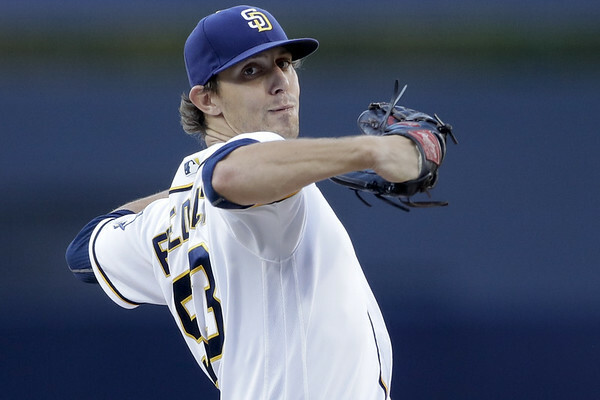 The former big leaguer last pitched in 2017 as a member of the San Diego Padres organization, splitting time between Triple-A El Paso, Double-A San Antonio, and Single-A Lake Elsinore. During that stretch, he went 0-1 with a 7.11 ERA over 19 innings in six starts. The 31-year-old was originally drafted by the Colorado Rockies in the first round (25th overall) of the 2008 MLB amateur draft and made his Major League debut with Colorado in 2012 at the age of 24. Friedrich spent three seasons with the Rockies, before heading over to the Padres in 2016. In four Major League seasons, he appeared in 124 games (42 starts) and collected 10 wins to 28 losses with a 5.37 ERA and 246 strikeouts in 296.2 innings of work. Rademacher joins the Bees for his first season in the Atlantic League and eighth of professional baseball. Last year he spent time with Triple-A Iowa of the Chicago Cubs organization, appearing in 114 games and posting a .251 batting average with 31 RBI. The 27-year-old was originally drafted by Chicago in the 13th round of the 2012 MLB amateur draft. He spent his entire professional career with the Cubs organization, reaching as high at the Triple-A level from 2016-18. Posted in Newington Town Crier, New Britain Bees on Tuesday, 26 March 2019 15:10. Updated: Tuesday, 26 March 2019 15:13.